Ad Plates for any budget. 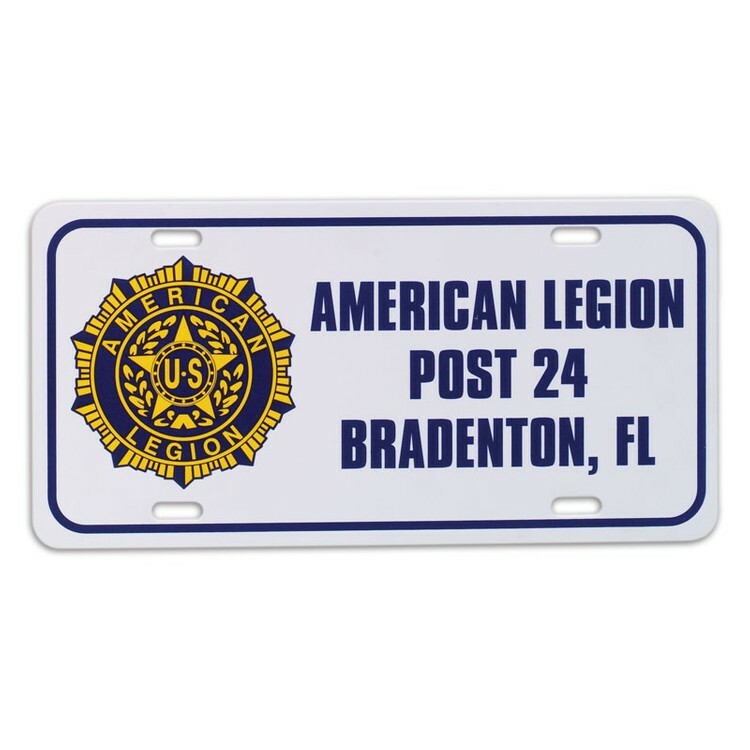 All plates are printed with high gloss UV inks for maximum impact and durability. Thickness: .030 - Made from High impact styrene. Price includes one color imprint. 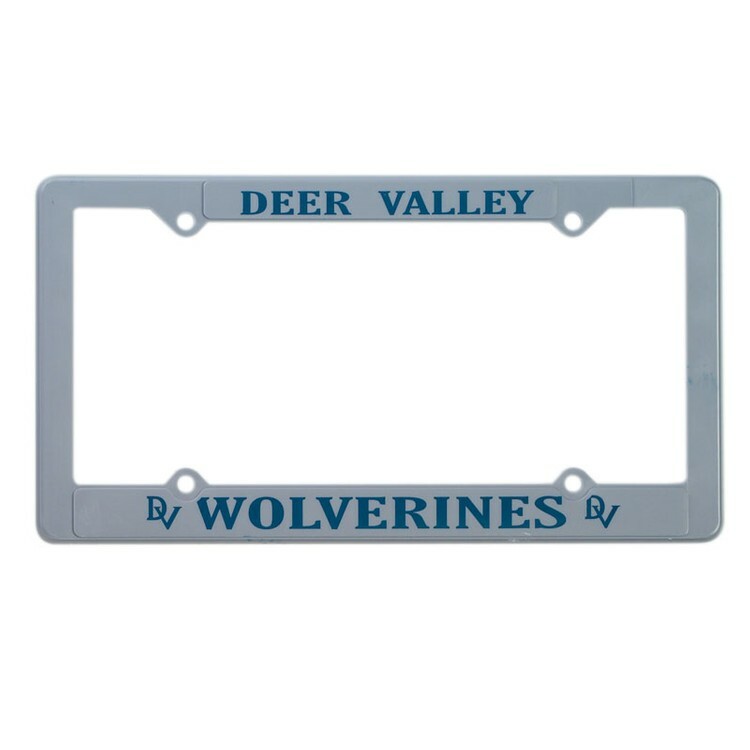 Ad Plates for any budget. 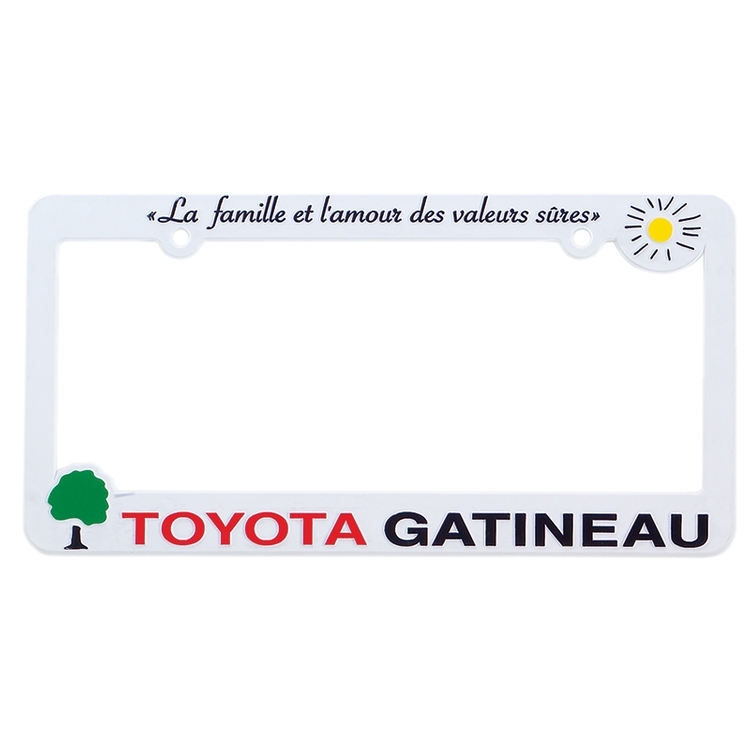 All plates are printed with high gloss UV inks for maximum impact and durability. Thickness: .020 - Made from High impact styrene. Price includes one color imprint. 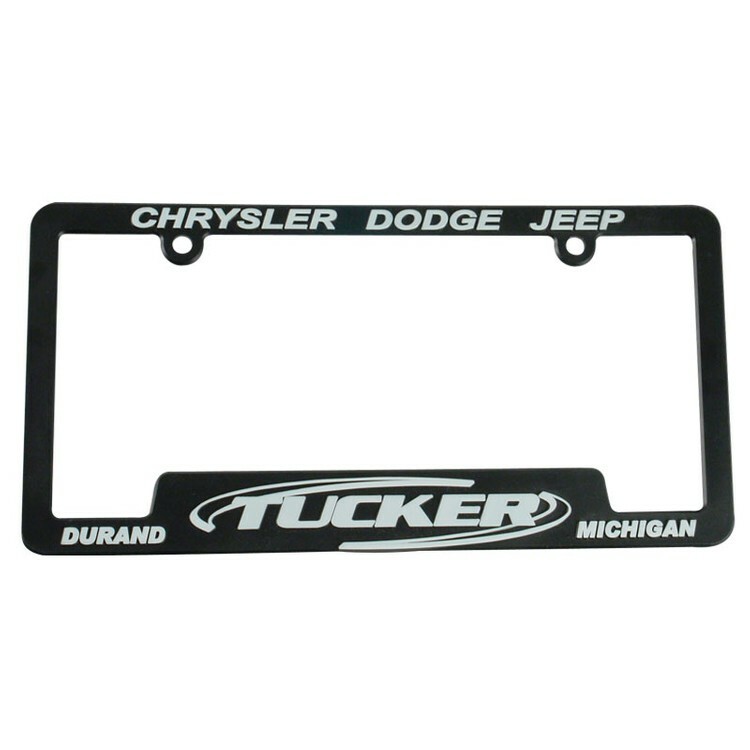 Custom molded license plate frame in durable high-impact plastic with your logo and copy in raised letters. Retaining clips on the back hold the plate firmly in place. 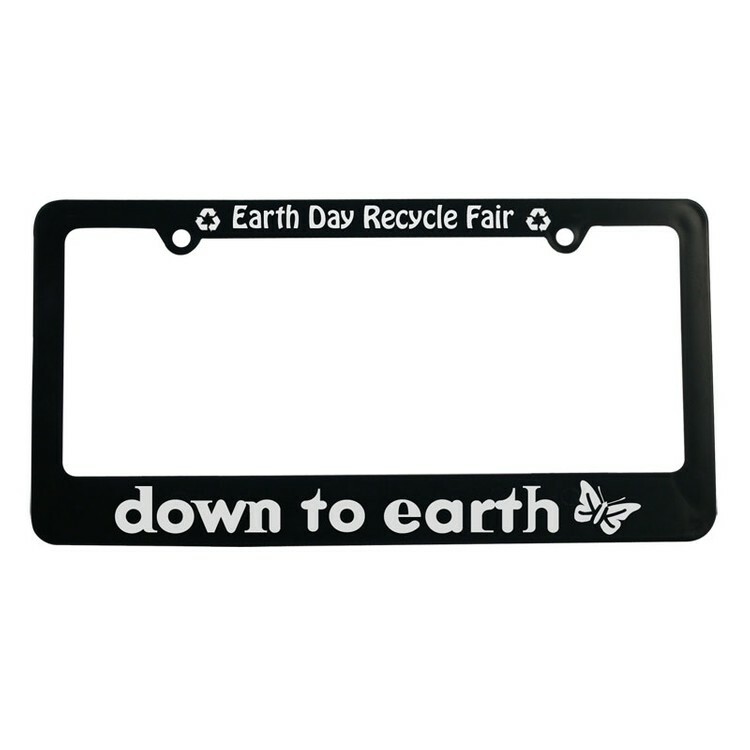 Full View license plate frame is also available in premium ABS material for added durability. 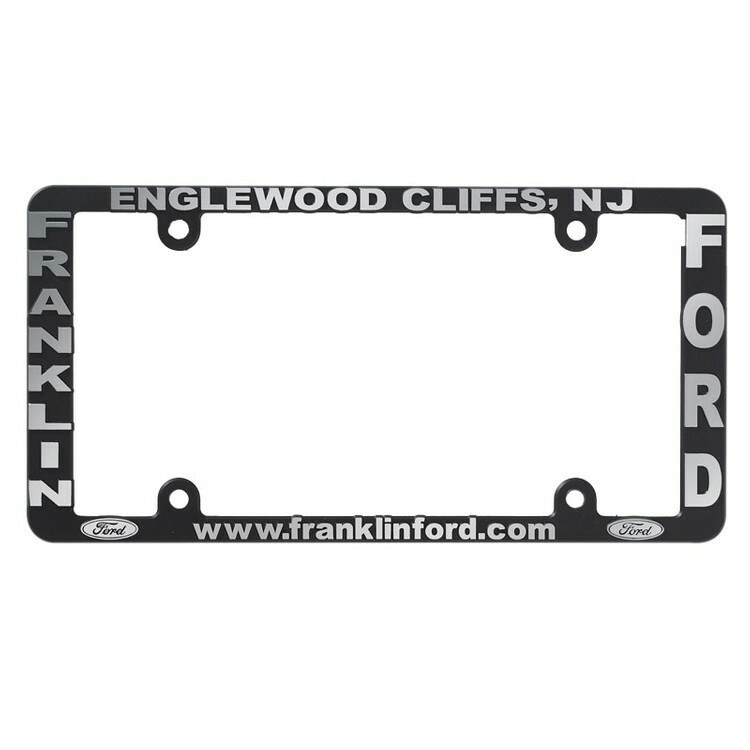 Custom molded license plate frame in durable high-impact plastic with your logo and copy in raised letters. Retaining clips on the back hold the plate firmly in place. 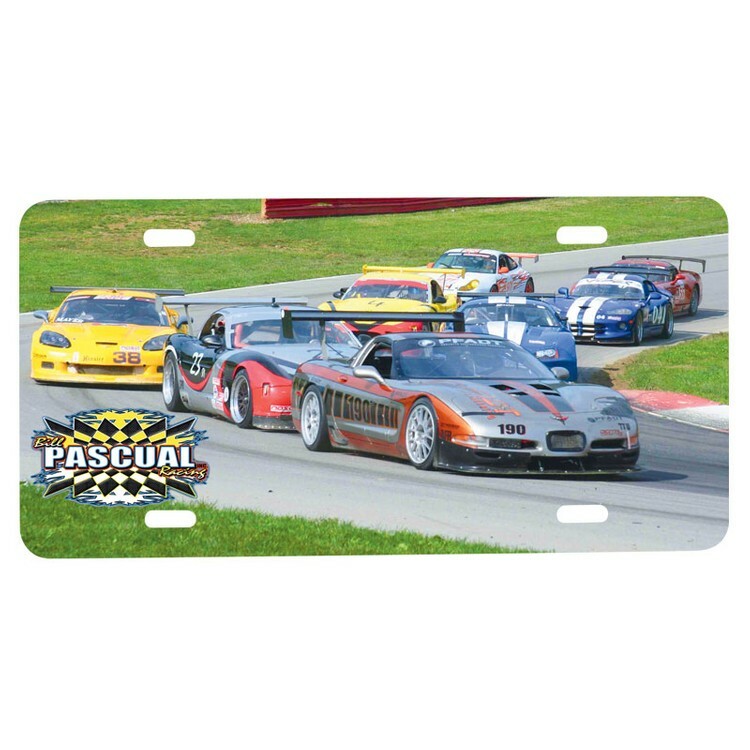 Corner View license plate frame is available with either 2 holes (RF21B) or 4 holes (RF21H) - Custom Colors Available Minimum Order 10 000. Corner View frame is also available in premium ABS material for added durability (PRF21). Important Note: Customer is responsible for the fit of the frame on the car and to make sure the style does not cover registration stickers or other important information. Holes may interfere with copy on four-hole frames. Please email, fax or call for free samples. Available with two holes (SF21B) or four holes (SF21H). Price includes one color imprint on top and bottom. - Frame has retaining clips to hold the plate firmly in place. Maximum frame is also available in premium ABS material for added durability. Price includes imprint on top and bottom areas. Custom Colors Available Minimum Order 10 000. Classic License Plate Frame. Frame has retaining clips to hold the plate firmly in place. Four hole frame with unique raised imprint panels. Fits most states. Price includes one color imprint on top and bottom. - Custom Colors Available Minimum Order 10 000. 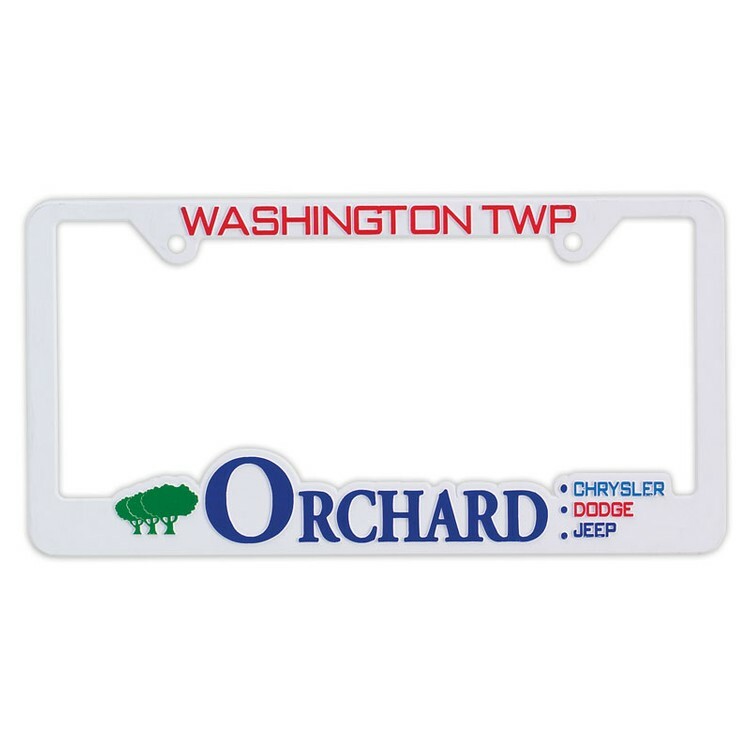 Side Imprint Areas provide extra ad copy and provides full view of all state license plates. Price includes side panel imprint on both sides. - Custom Colors Available Minimum Order 10 000. 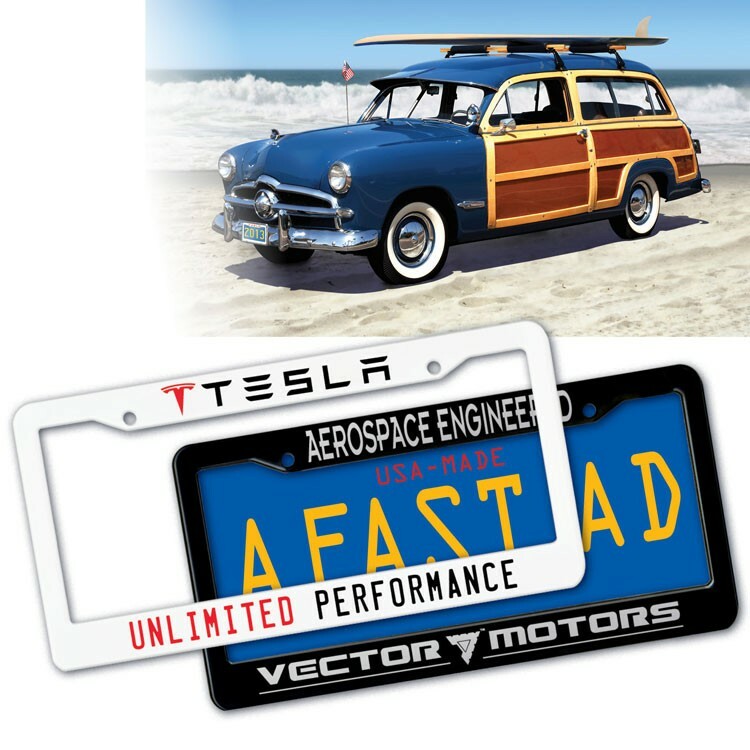 Ad Plates for any budget! 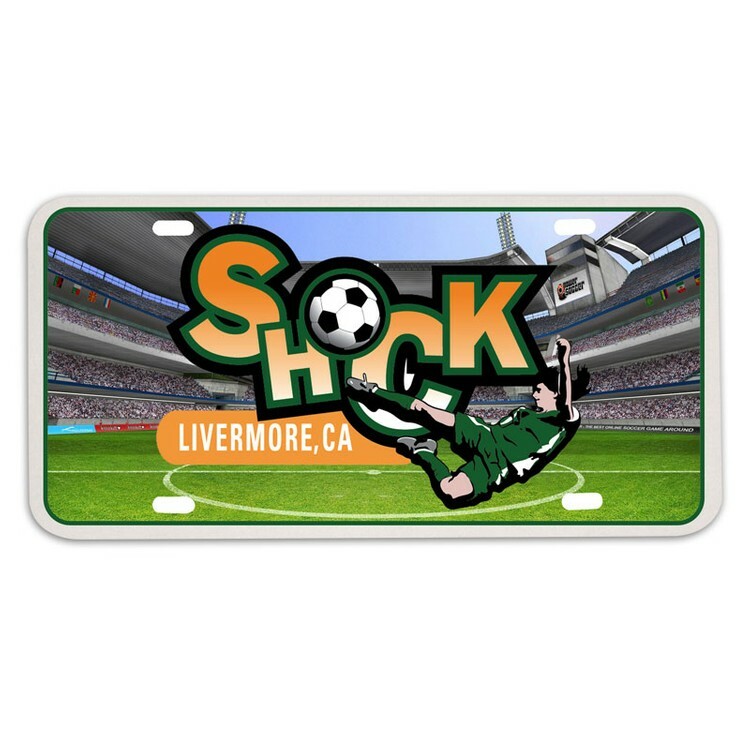 This durable Ad plate will stand out with its full color imprint. Be sure to catch eyes of potential customers as you go by. 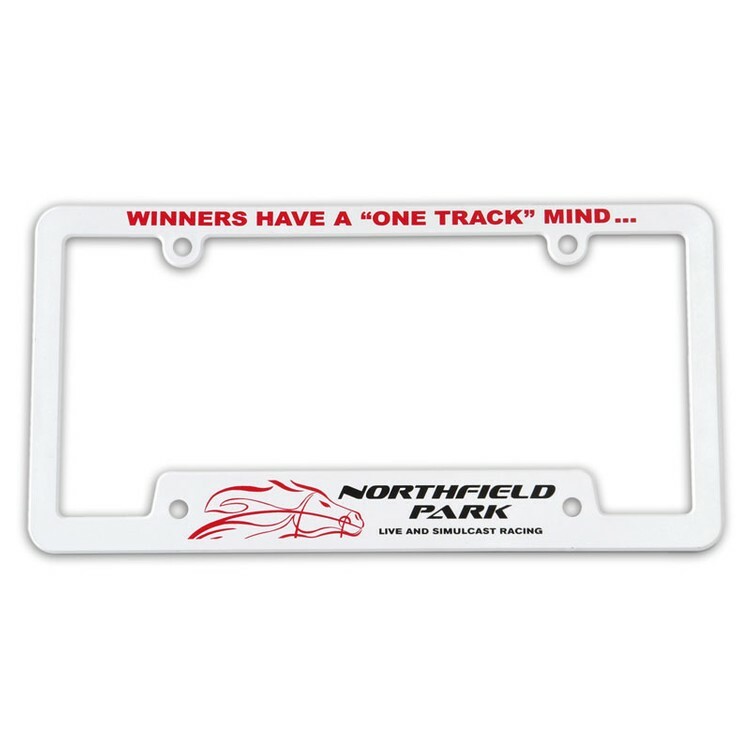 .055" thick plastic material will stand up to the elements and will provide the promotional power of this plate for years. 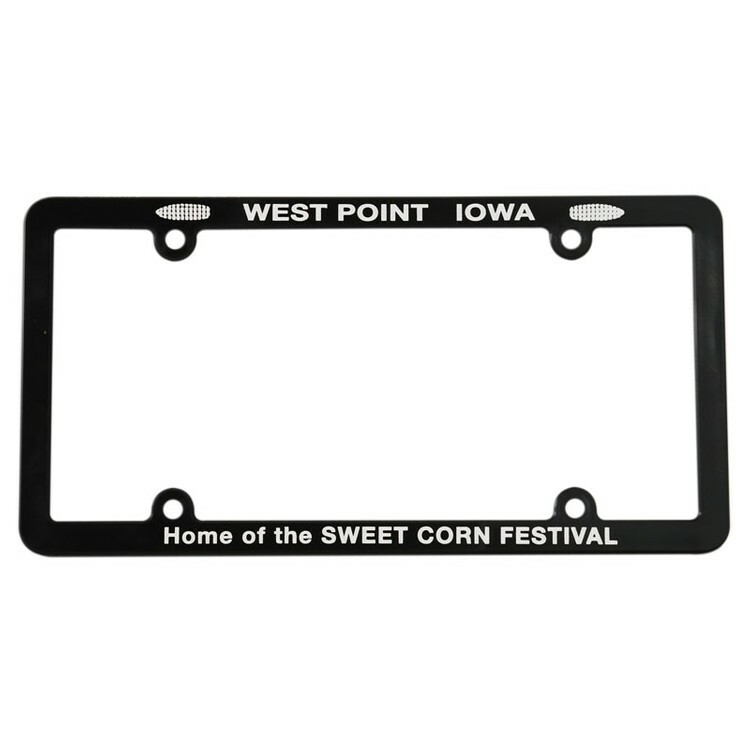 Four hole frame designed to fit most cars and all state requirements. Price includes one color imprint on top and bottom. - Frame has retaining clips to hold the plate firmly in place. 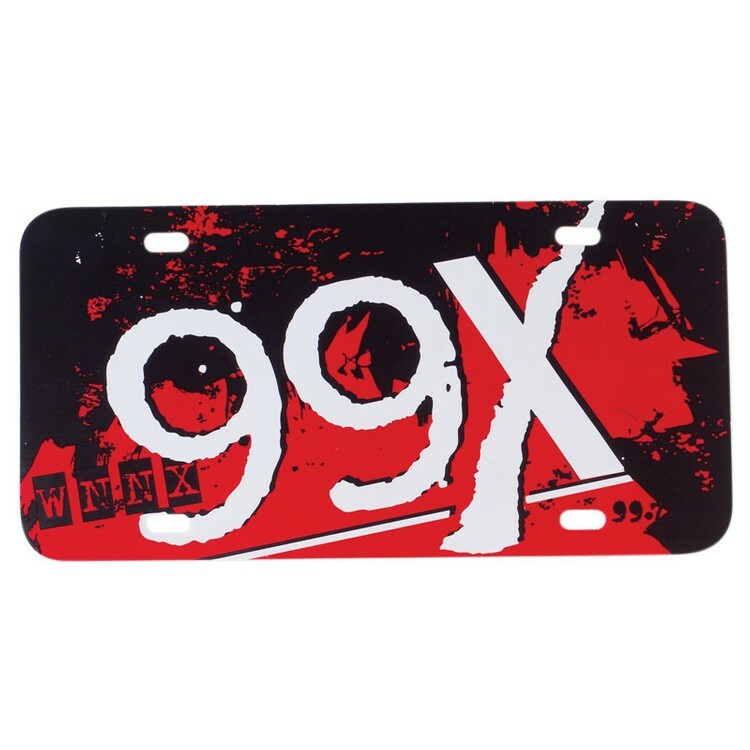 Deluxe car license plate frame. Get your logo out on the road. We passed a comprehensive audit and meet Disney's standards! 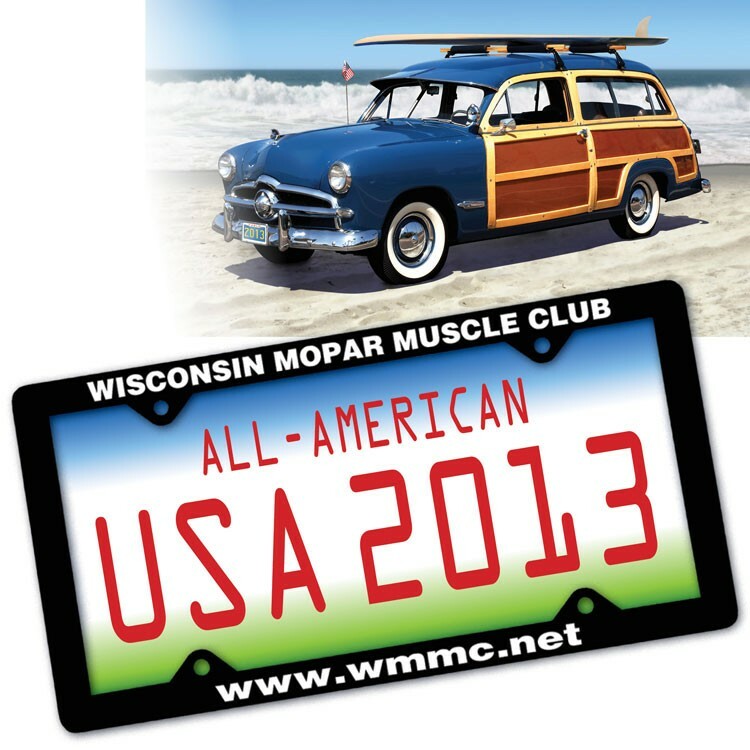 With one of these great custom gifts, your clients will advertise your brand every time they take a ride in the car! 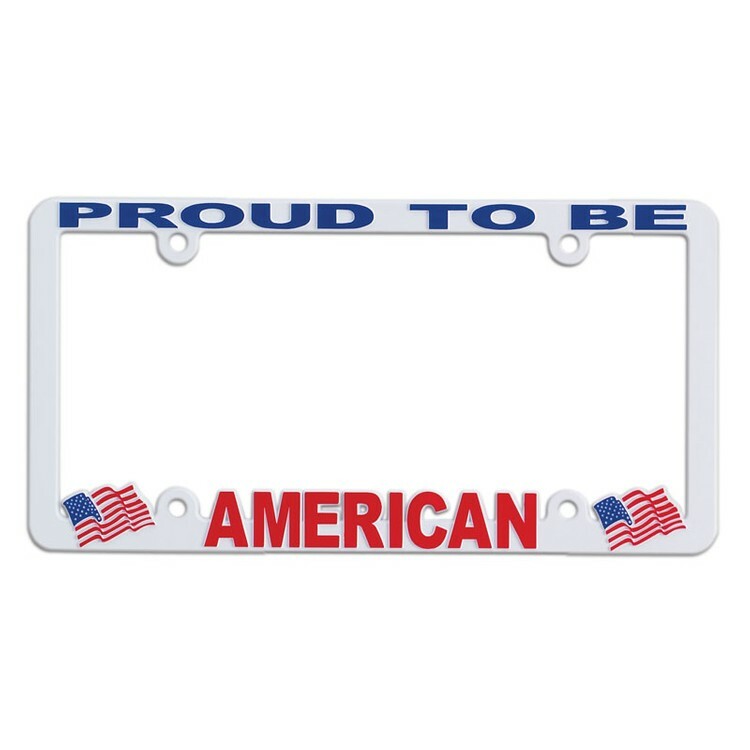 Universal license plate frame. Get your logo out on the road. We passed a comprehensive audit and meet Disney's standards! With one of these great custom gifts, your clients will advertise your brand every time they take a ride in the car! 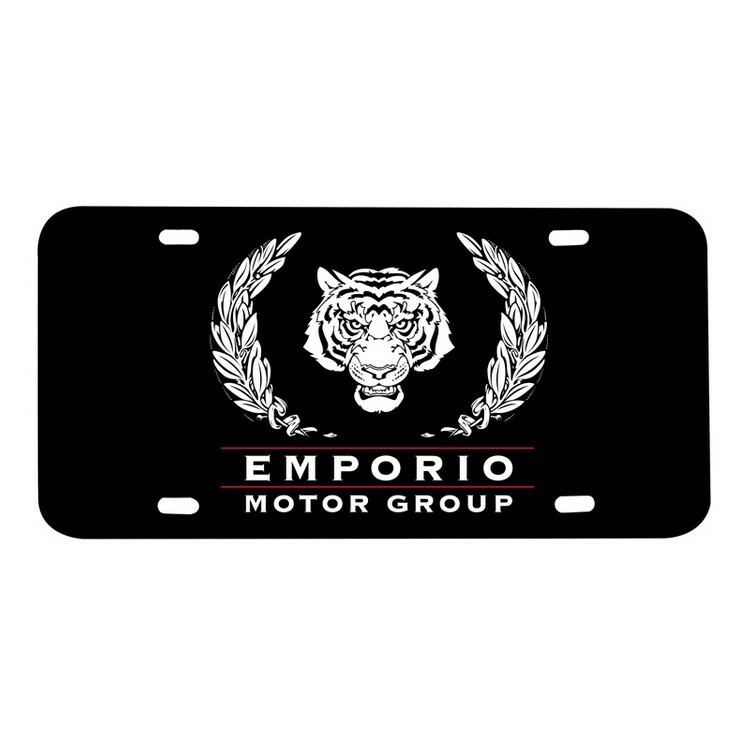 30mil Ad Plate with Digital Imprint. 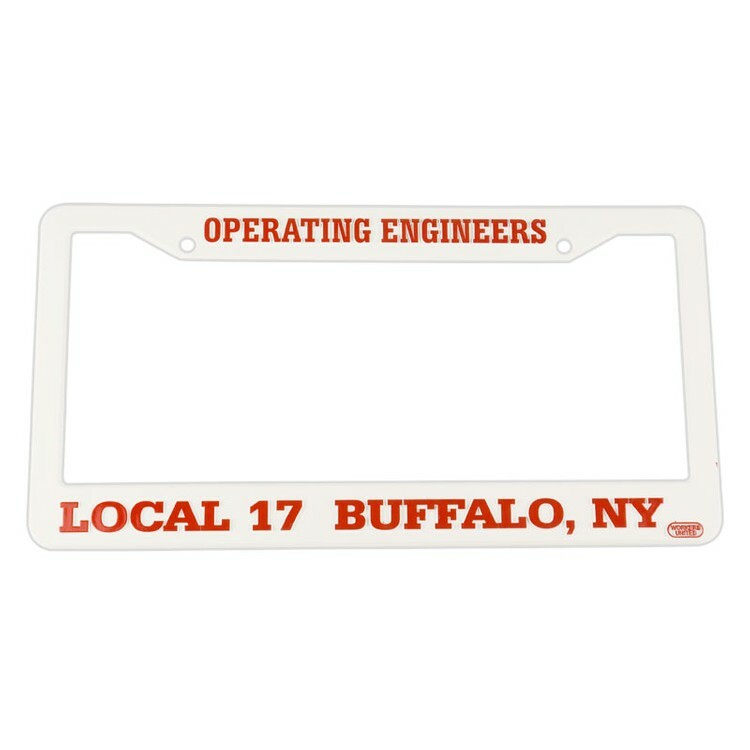 Motorcycle size license plate frame. Get your logo out on the road. We passed a comprehensive audit and meet Disney's standards! 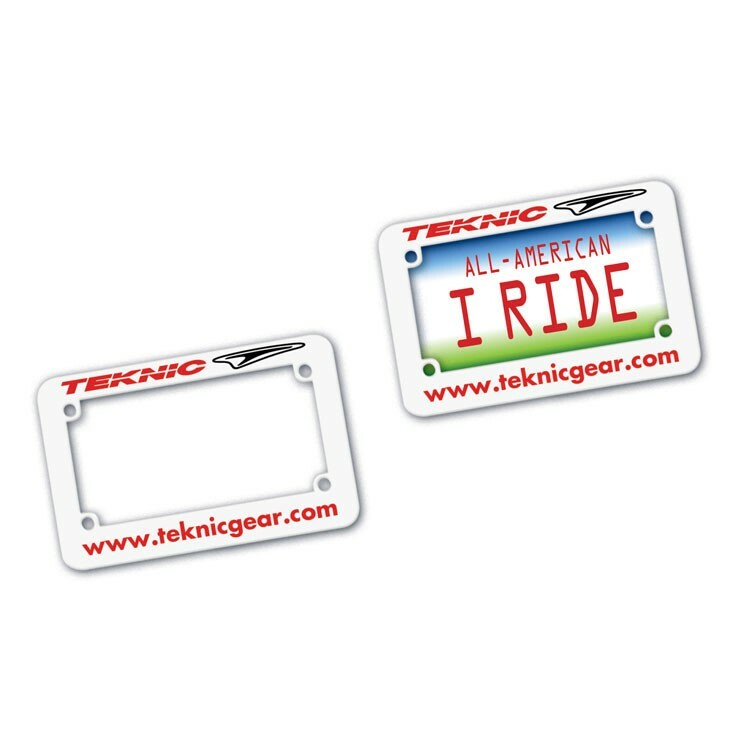 These motorcycle-sized plate frames get your logo out on the road and ready to advertise.